Reserved for Francoise. 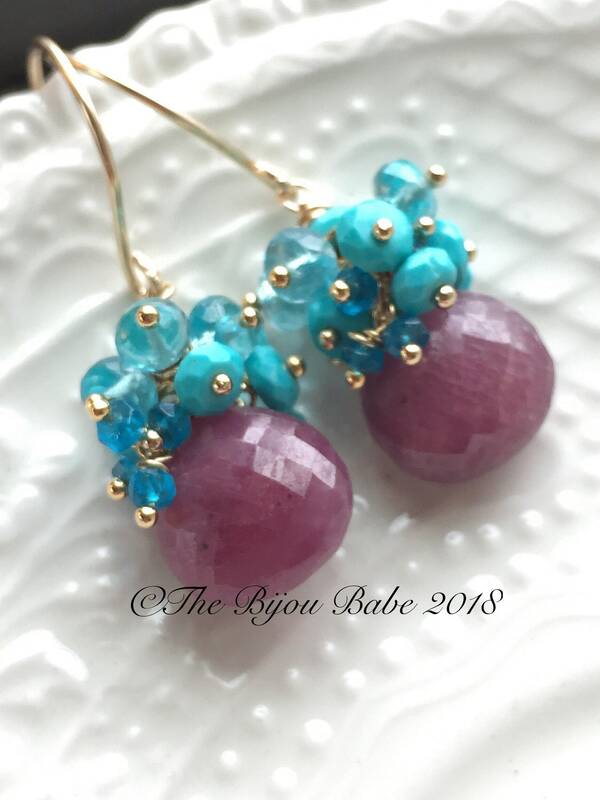 Deep pink sapphire briolettes are topped with vibrant blue turquoise and apatite rondelles. Such a fabulous contrast of color! These earrings are bright and cheery, perfect for the upcoming seasons! 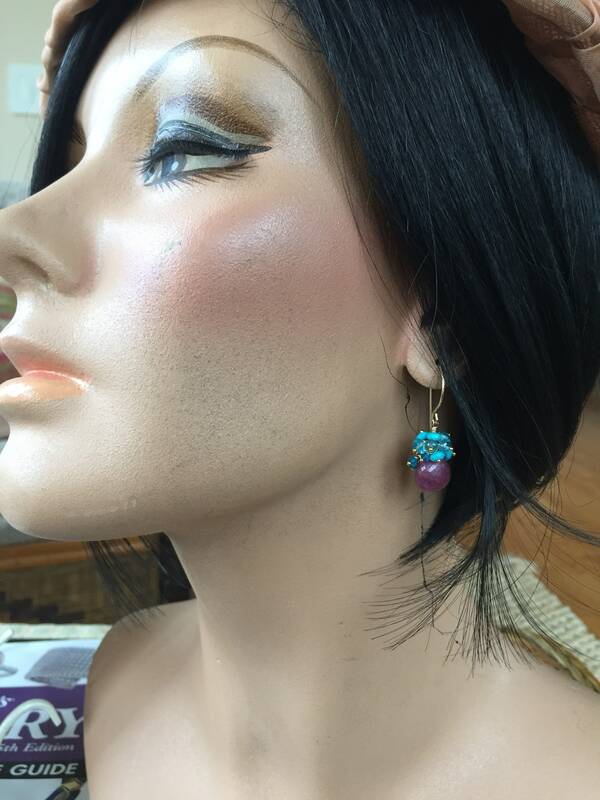 The sapphire briolettes and apatite rondelles are AAA rated with beautiful faceting and color. 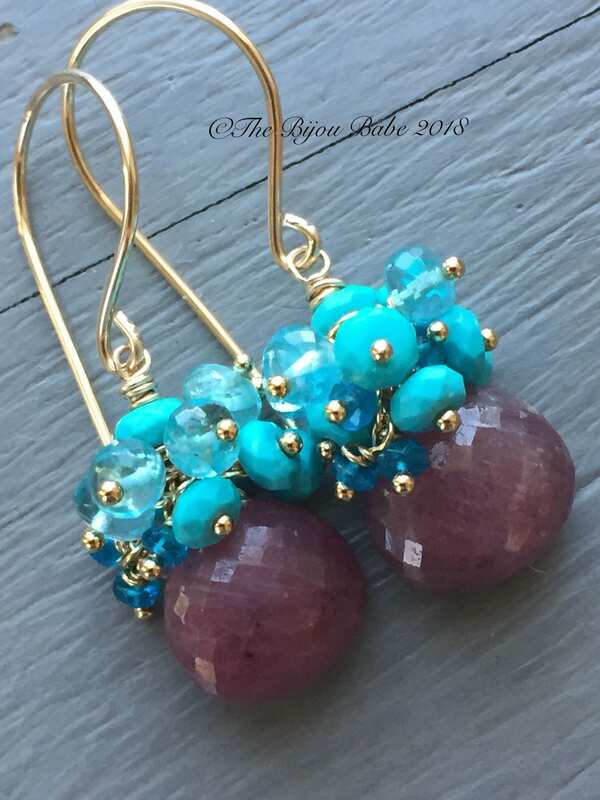 The turquoise rondelles are from my hoard from a trip to New Mexico several years ago, and I try to use them sparingly because they are so fabulous! 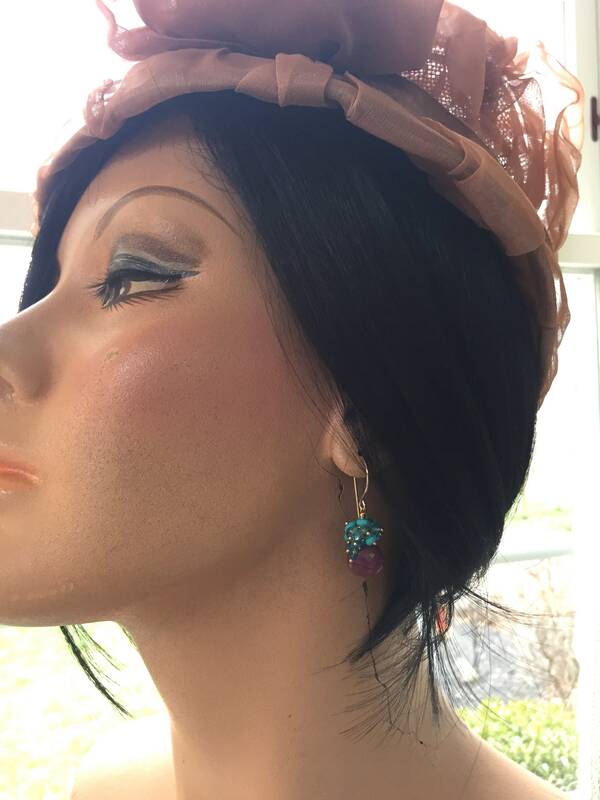 All metal used is 14kt gold filled and the pink sapphires are a lovely 11mm. Approximately 1 3/8” in length from hand made gold filled ear wires.